If you are looking for ideal protein for use during the day as a dietary supplement but also after training - not just for looking at. 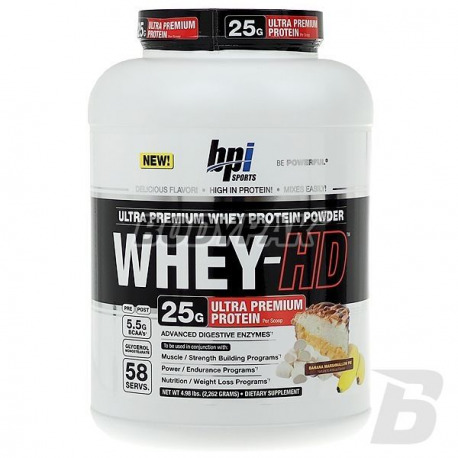 The nutrient can find isolate and whey protein concentrate and milk. As you can see you are dealing only with the highest quality protein of animal origin, which aminogram is closest to the ideal. 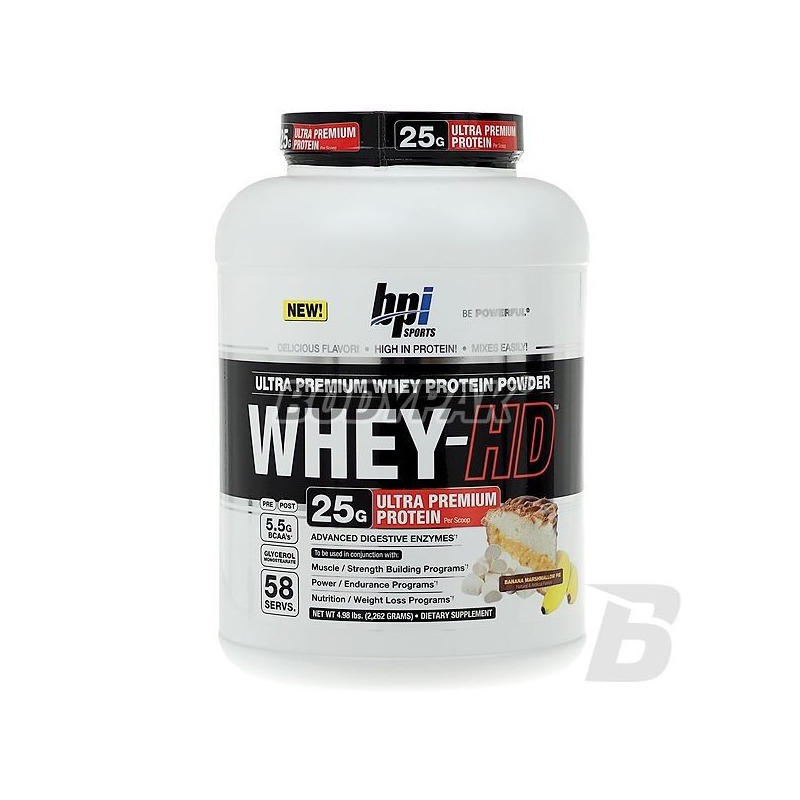 Do not hesitate and start to grow together with BPI Whey-HD! The basis weight of the product may vary depending on the taste. Ingredients: A mixture of proteins that form muscle ( whey protein concentrate, milk protein concentrate, whey protein isolate, milk protein isolate ), dextrin, natural and artificial flavors, a blend of fiber (cellulose gum, xanthan gum, carrageenan gum ), silica, acesulfame K, glycerol monostearate, PROHYDROLASE (patented mixture of digestive enzymes).